Are you trying to figure out how to stick to a Paleo diet as you dash out the door for a morning meeting? Or what to pack for lunches for yourself or your kids? And what if your kids are in nut-free classrooms? And what healthy snacks can you pack to accommodate egg allergies? Maybe you need ideas for Paleo-friendly foods you can bring while traveling? Yes, portable foods can definitely be a challenge for those of us following a Paleo diet. And, in fact, questions relating to “To Go” foods are some of the most frequent that I get asked. And, as so many of us head back to the classroom this month, it’s a topic on many people’s minds. 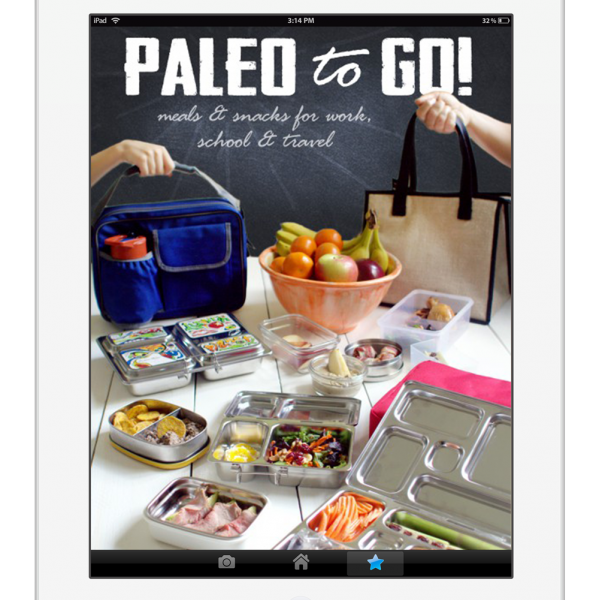 That’s why I’m super excited about an amazing new resource: a new e-book by my friends and partners-in-podcast Paleo Parents called Paleo To Go: Meals & Snacks for Work, School & Travel. 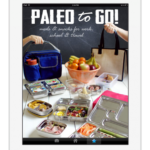 Paleo To Go: Meals & Snacks for Work, School & Travel is the answer to all the above questions (and then some). This 100-page e-book is packed with awesome information, including over 50 recipes plus 40 meal and snack ideas to help your family eat well, even on the go. 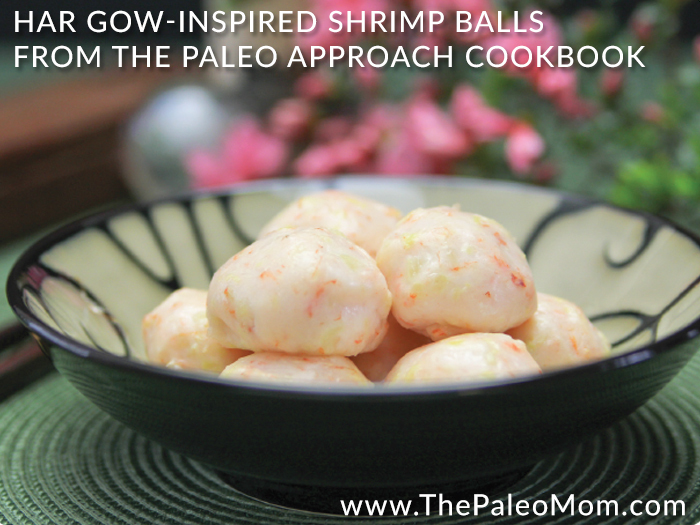 What I love about Paleo To Go is that it’s so much more than just recipes. 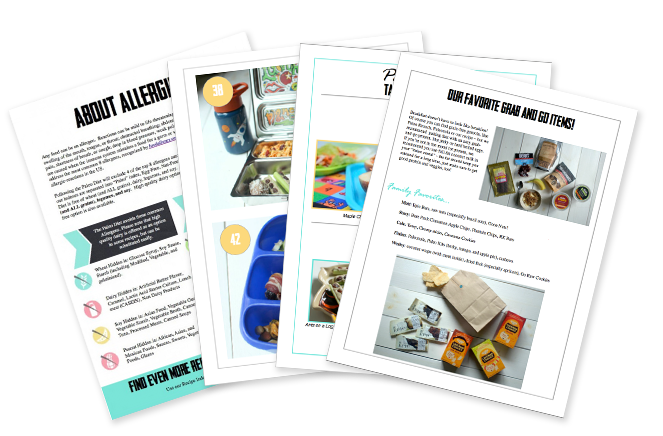 There’s also several extremely useful guides and lists, like how to navigate allergens and what are the best choices for lunch boxes. They also have great lists of Paleo-friendly foods categorized by the ways you can think about packing your lunches (protein, fat, veggies & fruit). 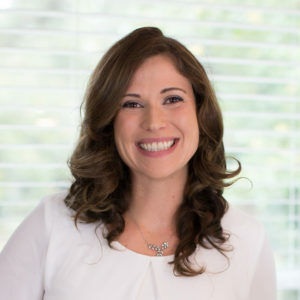 Paleo To Go ‘s section titled My Lunchbox is a Paleo-friendly lunch spin on the Government’s My Plate and will help you map out what to include in your lunch box. 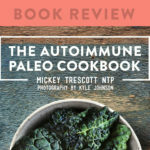 There’s also lists of common and their favorite Paleo lunch and convenience foods as well as printables for your fridge to create your own favorite lists. (This is something that I do with my kids every year: create a list of favorite foods in each category–protein, fat, veggies and fruit–that they would enjoy seeing in their lunches. Then, I can just reference the list all year for ideas on what to pack!) Figuring out what to pack for lunch will never be a struggle again! 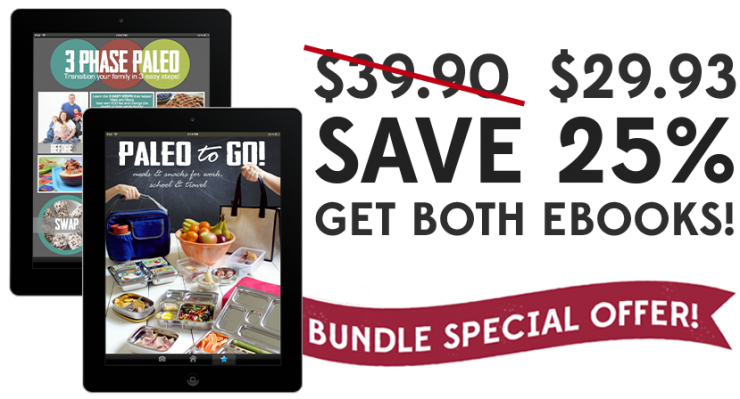 Paleo To Go also provides you with a great foundation of recipes, over 50 of them! 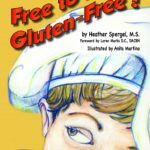 Paleo Parents have also given special care to providing allergen-free recipes for those of us with allergies or sending kids to nut-free schools. In fact, of the 50 recipes, 29 are egg-free and 28 are nut-free recipes, all beautifully and clearly labelled. Paleo Parents have also put together 40 meal and snack ideas! These ideas include breakfast, lunch and snacks all perfect for taking on-the-go! The great thing about these meal and snack ideas is that, besides taking the guesswork out of figuring out what to pack, it’s a launching point for you to start being creative with your lunchbox and snacks! The book is also beautifully designed, with easy navigation. The photography is beautiful, and the information is easy to find. That last point is one of my favorites. Paleo Parents have thought of everything. While this book is only available as a digital download, they’ve formatted it with your home printer in mind. If you prefer print books, you can print it off and keep it in a binder or take it to your local printing/mailing store to have it inexpensively ring bound. 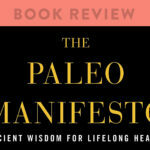 Plus, you can easily recoup the price of the e-book by taking advantage of the included coupons to One Stop Paleo Shop, Abe’s Market, Mission Heirloom, Caveman Cookies and Epic bars! How awesome is that?!?!?! I love Paleo To Go. 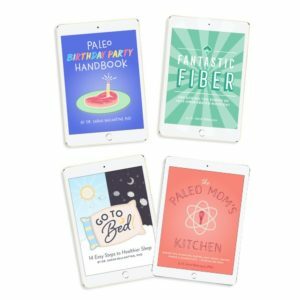 And, if you haven’t yet purchased Paleo Parents’ first e-book, 3 Phase Paleo (read my review of that here), you’re in luck because Paleo Parents are also offering a bundle of their e-books, both Paleo To Go and 3 Phase Paleo for 25% off! Order the bundle here.